Photo of: East Coast of Ireland: Louth. 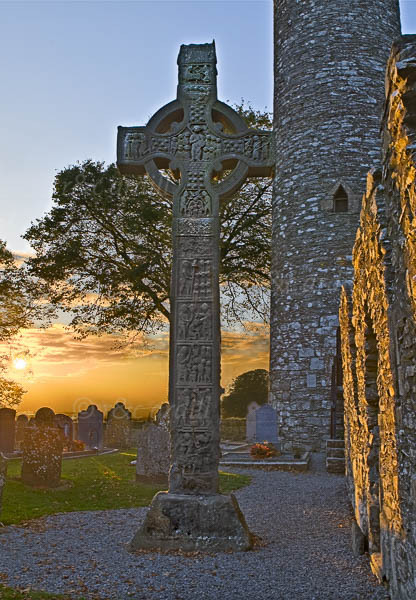 A picture of the Tall Cross and round tower at Monasterboice at sunset. The round tower shown in the background is about 35-metres tall, and is in very good condition. The marvellous Tall or West Cross shown here is 7-metres high.